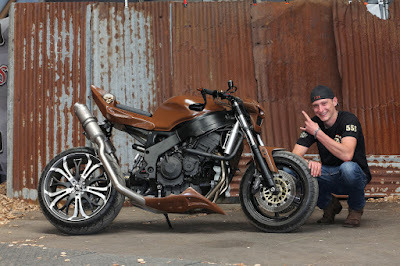 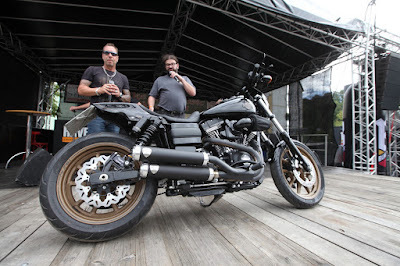 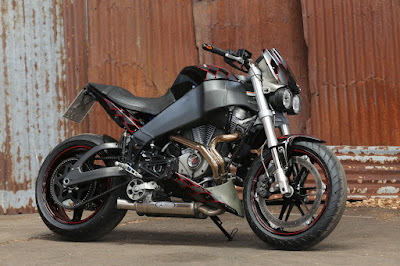 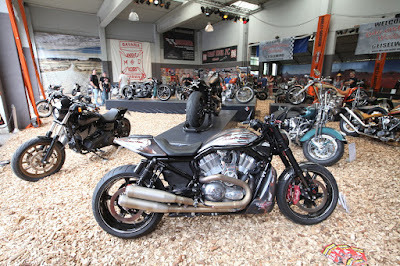 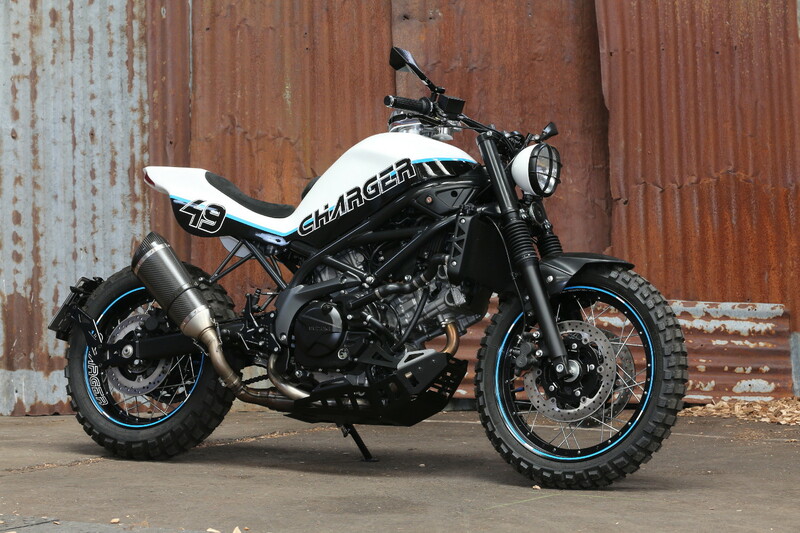 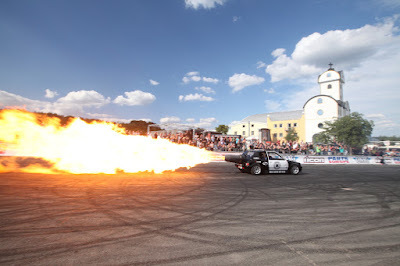 The Bikeshow you should know: Have a hot time at Germany's wildest Motorcycle, Custombike, Streetfighter and US Car Meet! 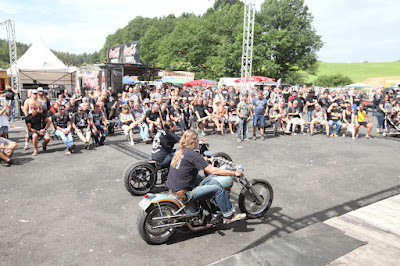 The event that "rocks" in Germany is "Bike and Music Weekend" in Geiselwind, running the first weekend in August. 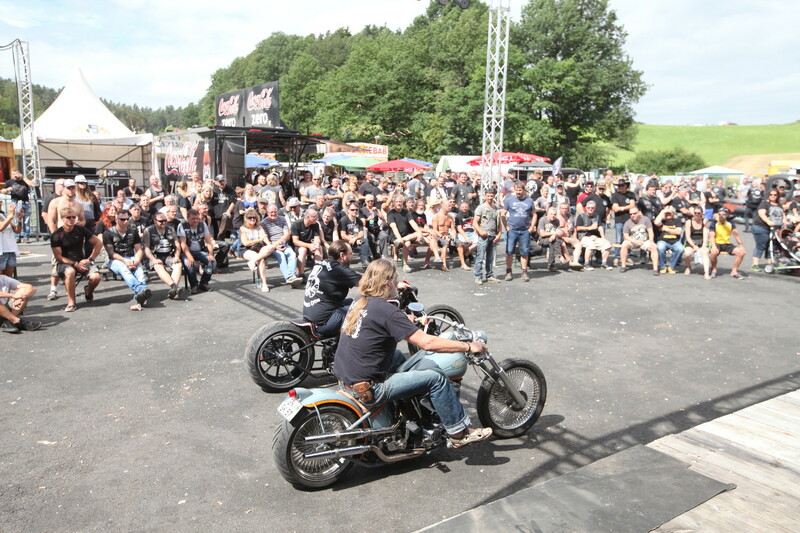 With all the Dragracing, burnout, live music and stunt action, it is often forgotten that the eventsite also hosts one of the most interesting and long-time bikeshows in Germany: running for 22 years and 16 at the Strohofer Truckstop, the organisers take great care to create a scenic presentation to tribute the craftmanship of the customizers that exhibit here. 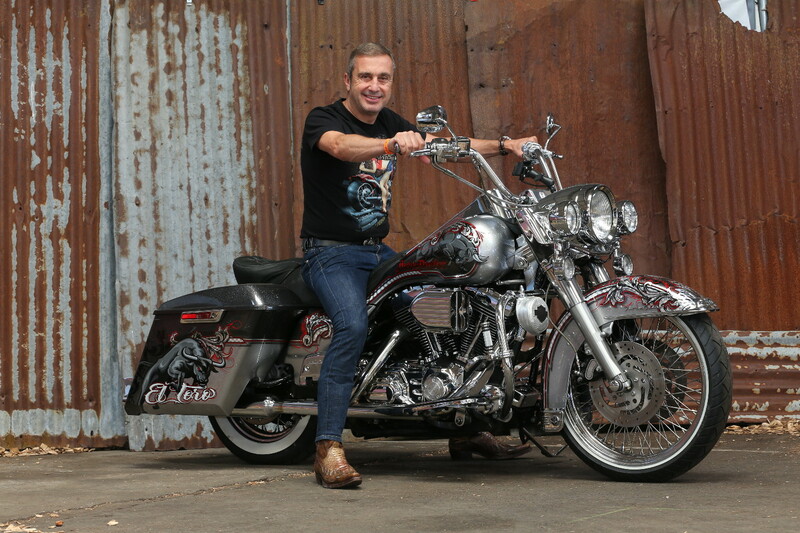 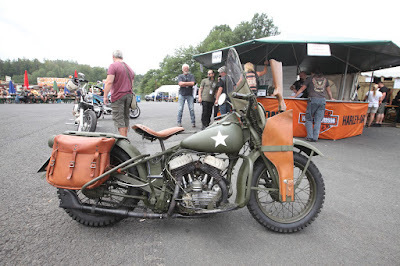 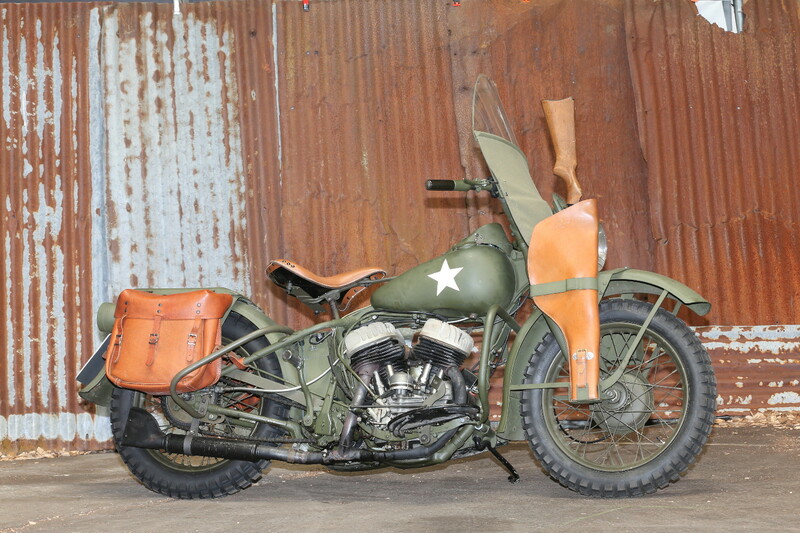 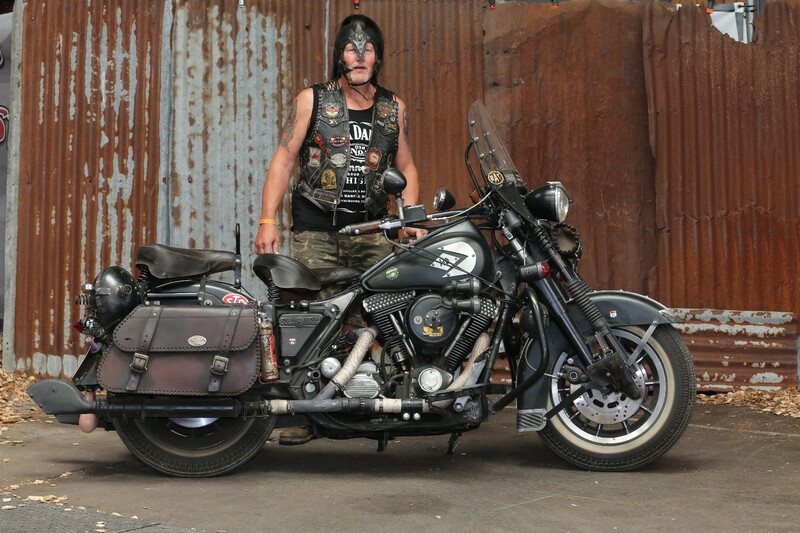 Germany and Franconia in particular have been one of the "birthplaces" of German Harley customizing, for it was here that American GI's rode and customized their Harleys during the "Cold War" years from the Sixties to Eighties. Some of them are still around – and so are the customizers they inspired: Like Steve Schneiderbanger from SSC and others that pass on "the flame" to the next generation. 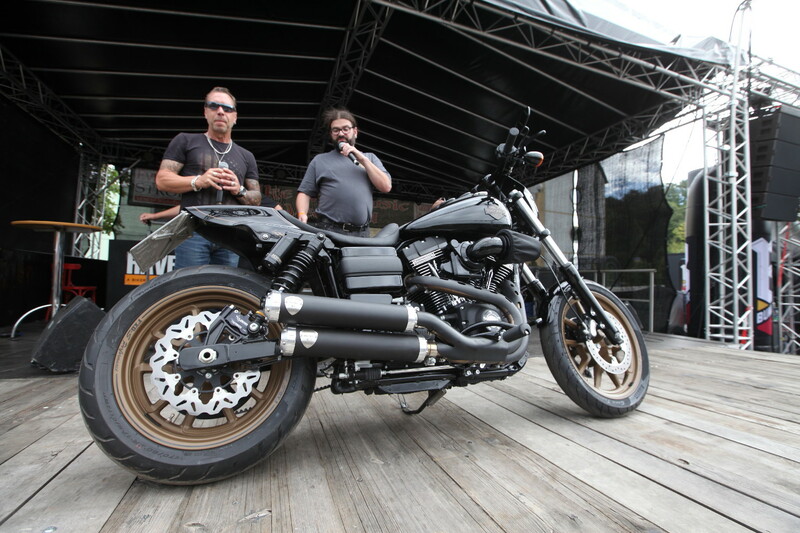 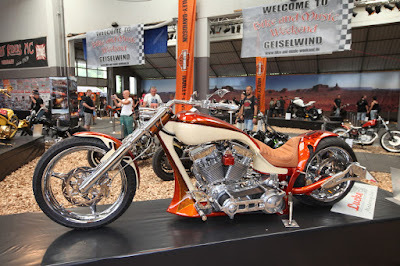 Bike and Music Weekend is one of their "Showcases" and also calls in the current customizers well beyond Franconia and Bavaria. 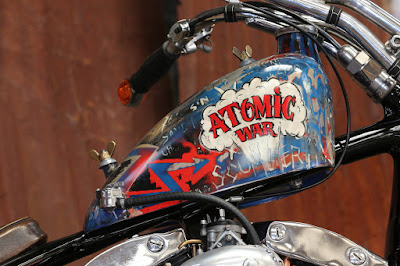 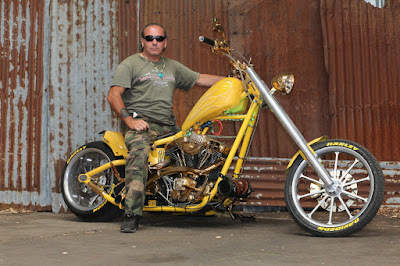 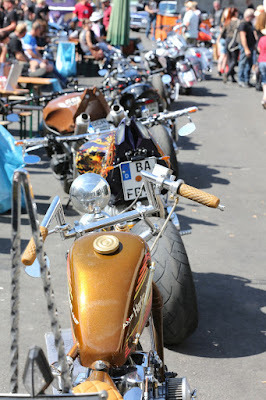 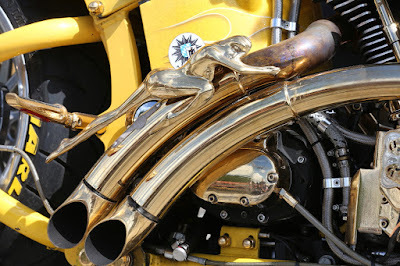 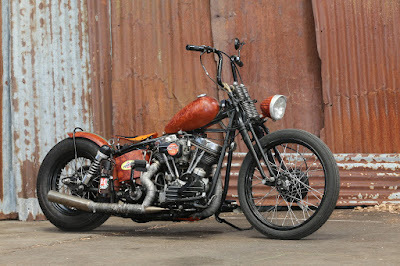 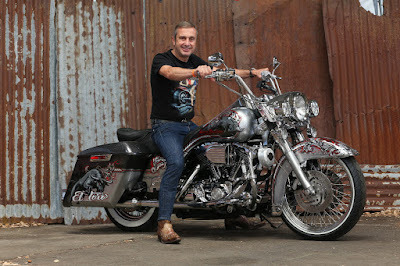 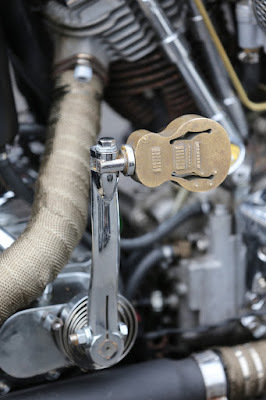 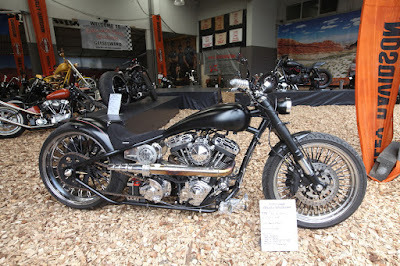 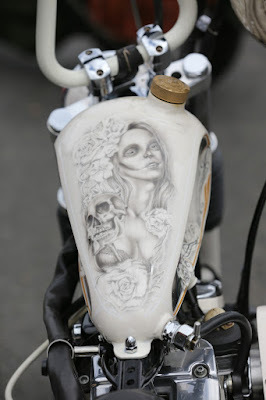 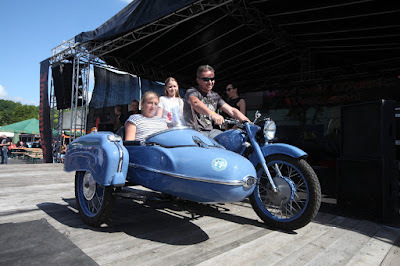 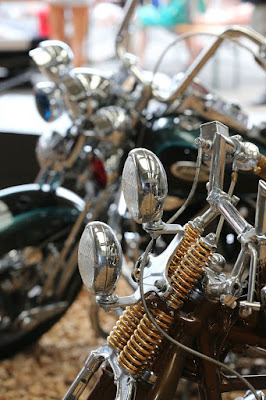 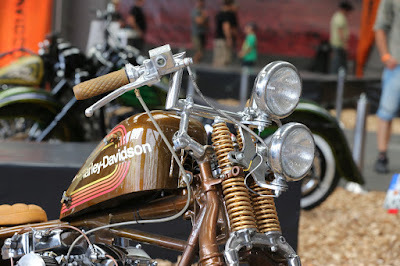 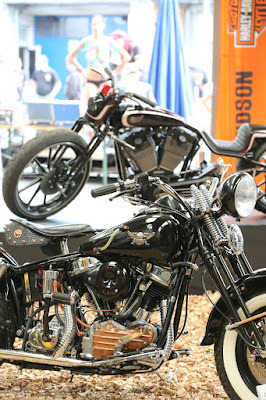 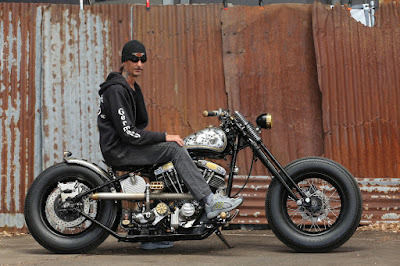 But it is also true that this well-organized and cool bikeshow deserves more. 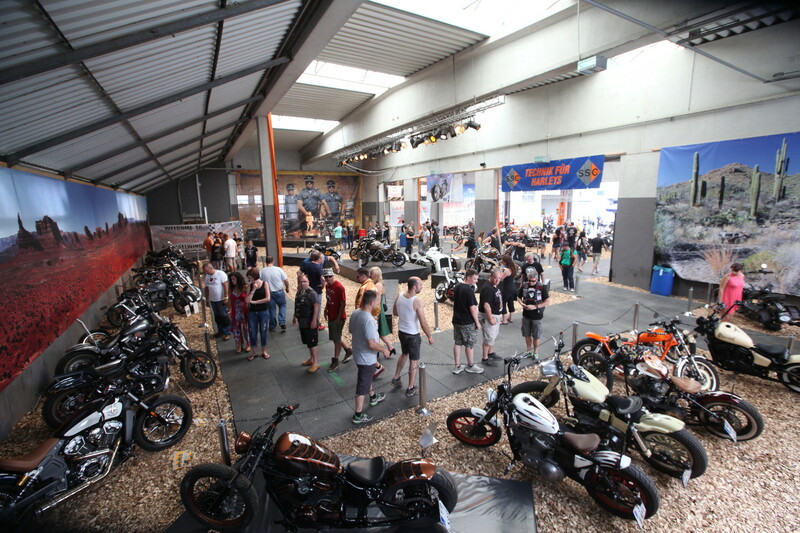 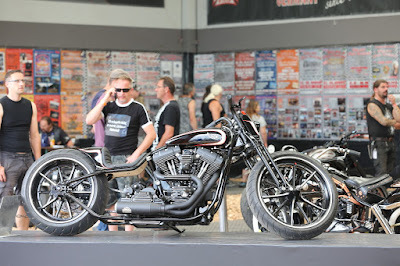 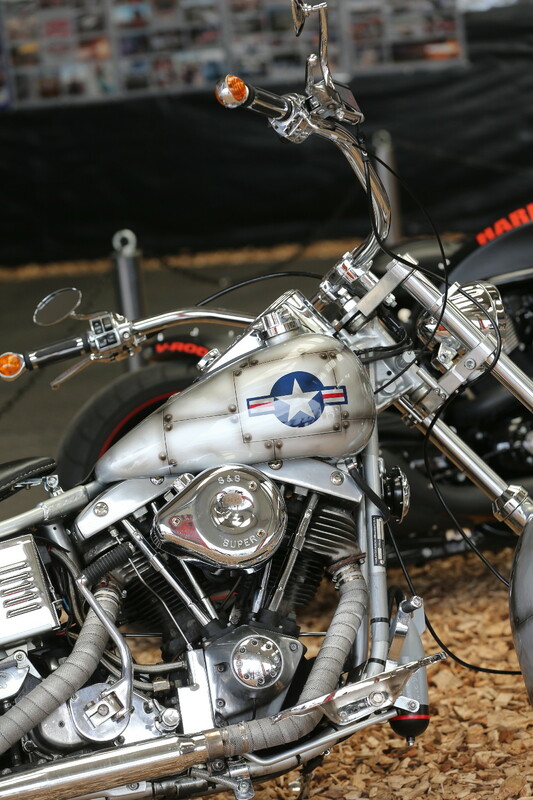 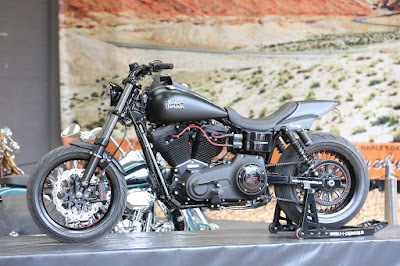 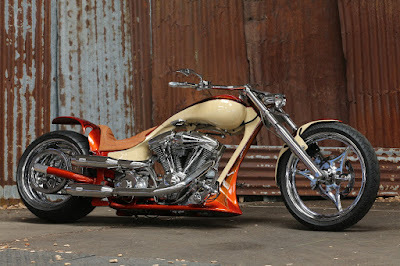 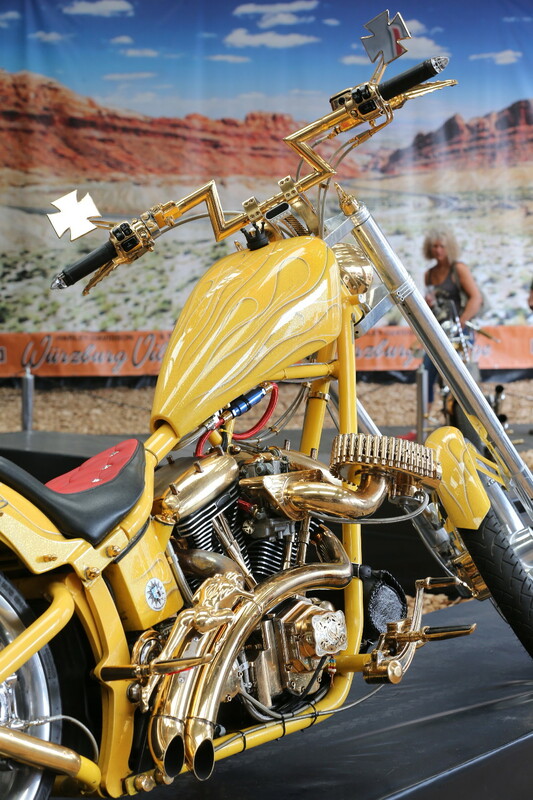 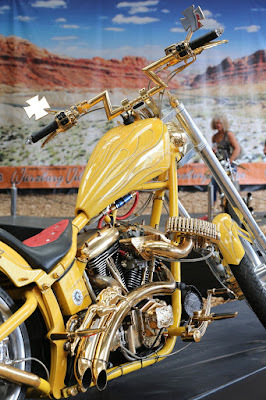 One of the main "Showparts" of Bike & Music are the Custombike and US-Car Shows, both show parts for some years under "covered" halls which are weatherproof and especially the Bikeshow hall decorated for superb view on the custombikes and classics exhibited. 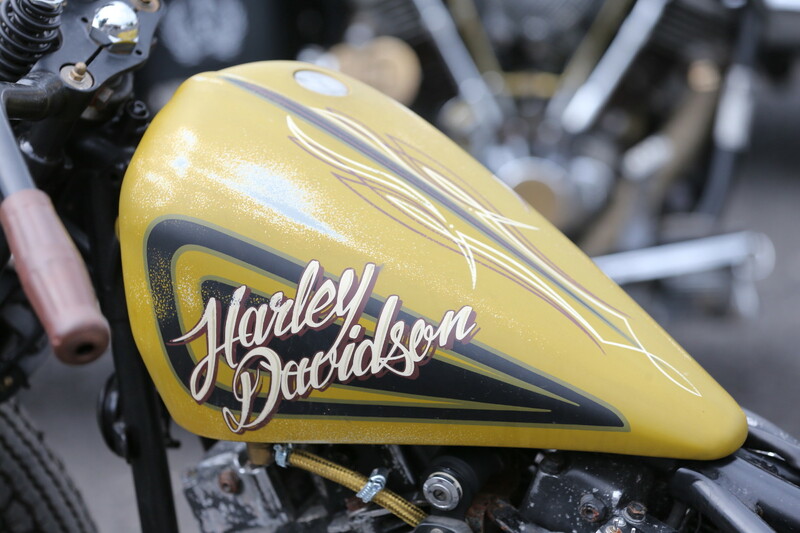 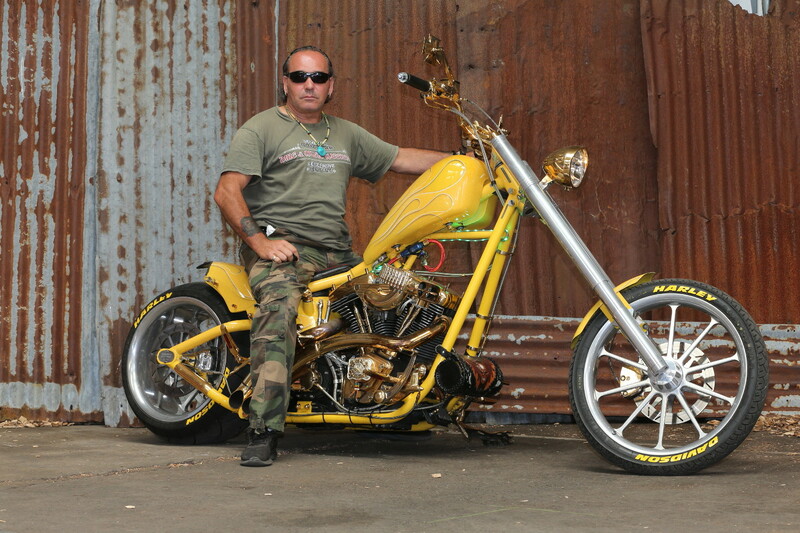 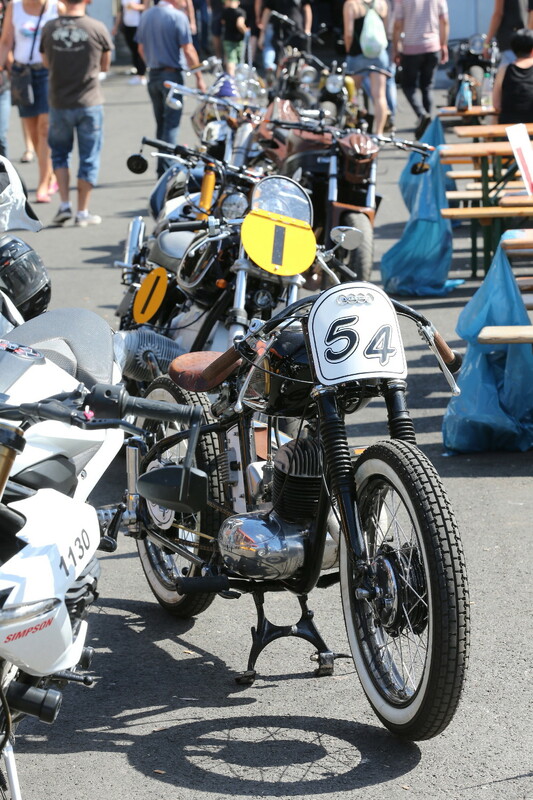 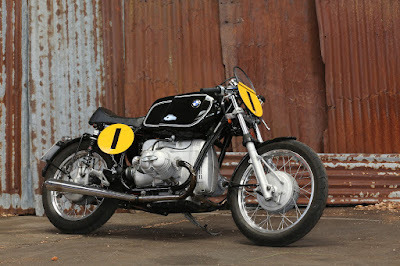 14 classes plus special awards and "Best of Show" grant a wide variety of excellent custombikes and often rare classics that can only be seen at Bike & Music Weekend. 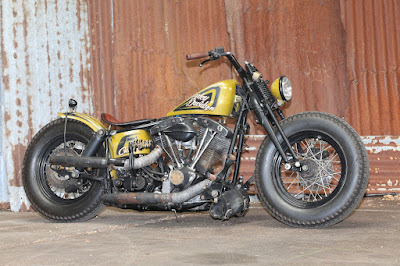 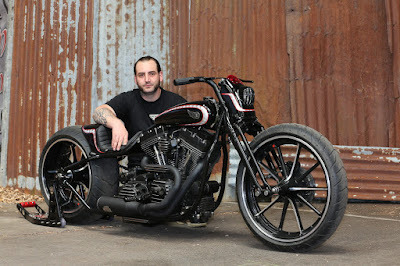 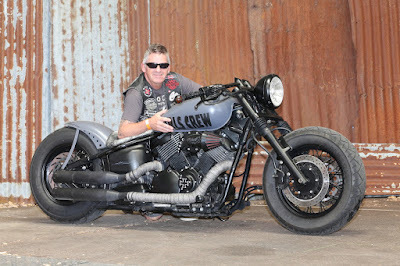 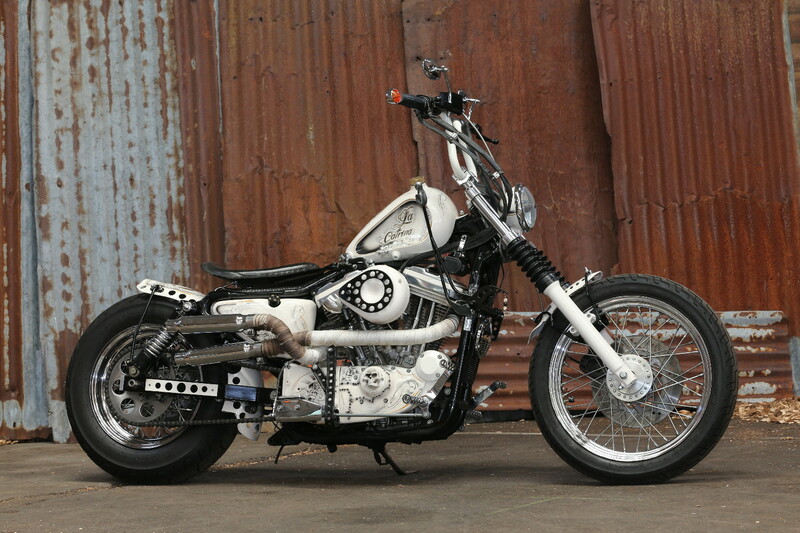 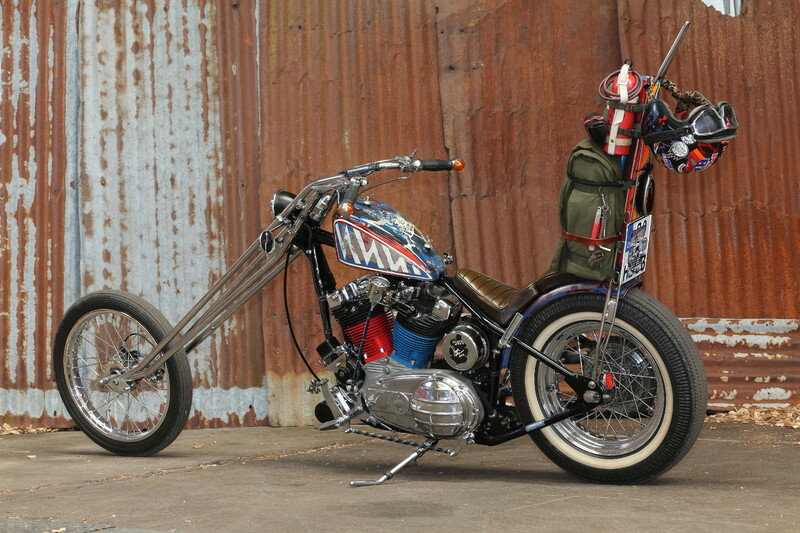 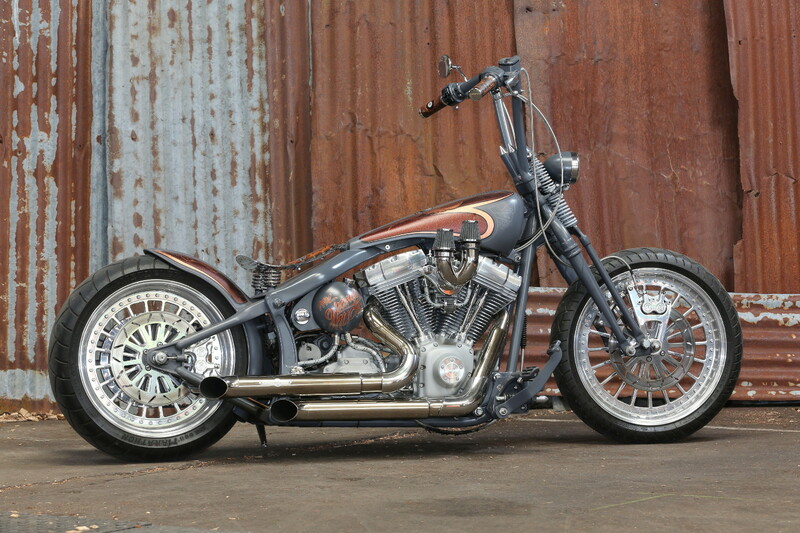 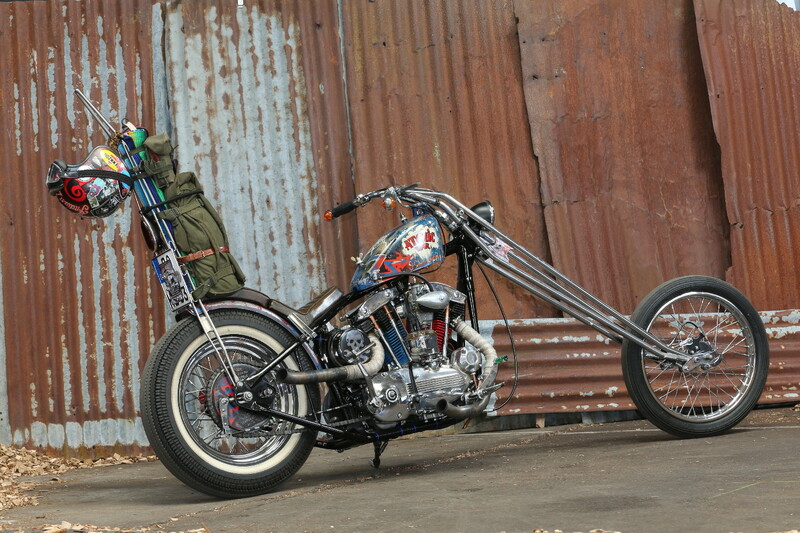 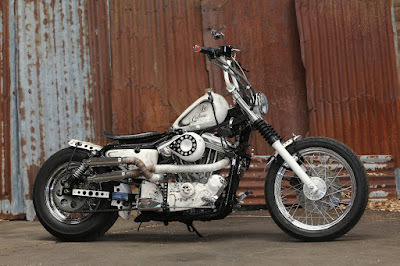 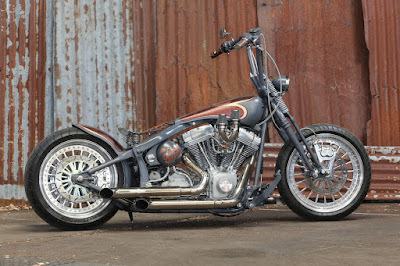 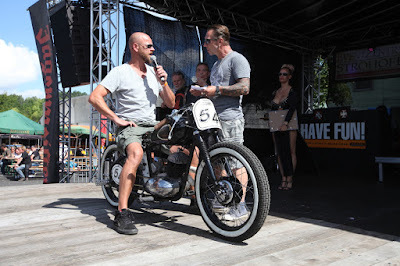 "Best of Show" and "Best V2 Custom" winner Basti Gartuo is such an example: Rather than, as planned, building his own "old school" ride from a Ironhead Sportster they discovered as a "barn find" in Germany, they soon discovered that this motorcycle was something special: The 1969 Harman-Sportster Chopper is an almost "historical" part of custom history – and Barti re-created it with period parts and love to detail! Surpising for the builder, but not for the "connoiseurs" of this event, he won both his "V2 Custom" class and "Best of Show". 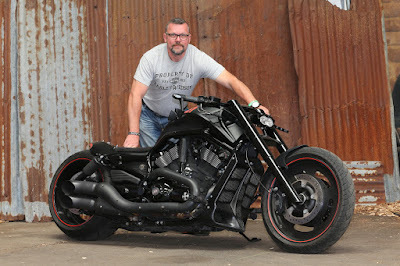 Judging is performed by both the audience and a selected jury of long-time custombike specialists, the "public voters" are motivated by the option of winning tickets for the Hockenheim "NitrOlympiX". Rare "Oldtimers" included a 1944 built "Liberator" WLA which was left in Holland after the war and a Russian DKW-copie which has been restored to better-than-new condition. 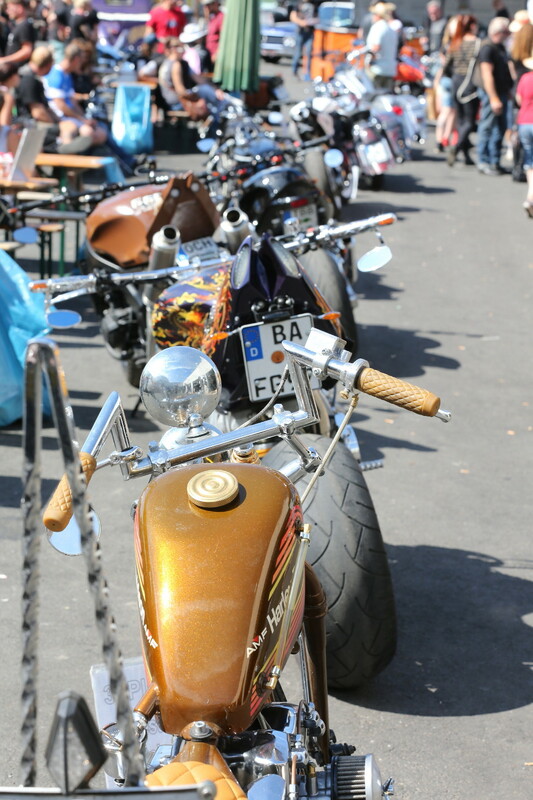 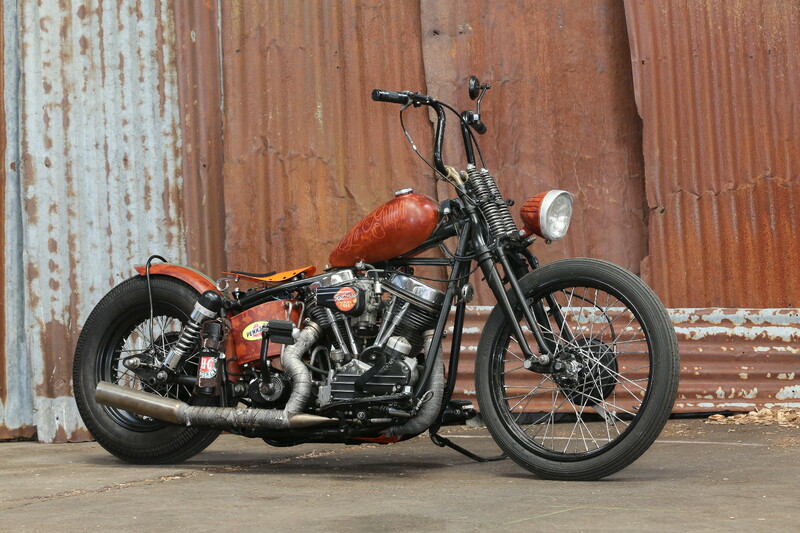 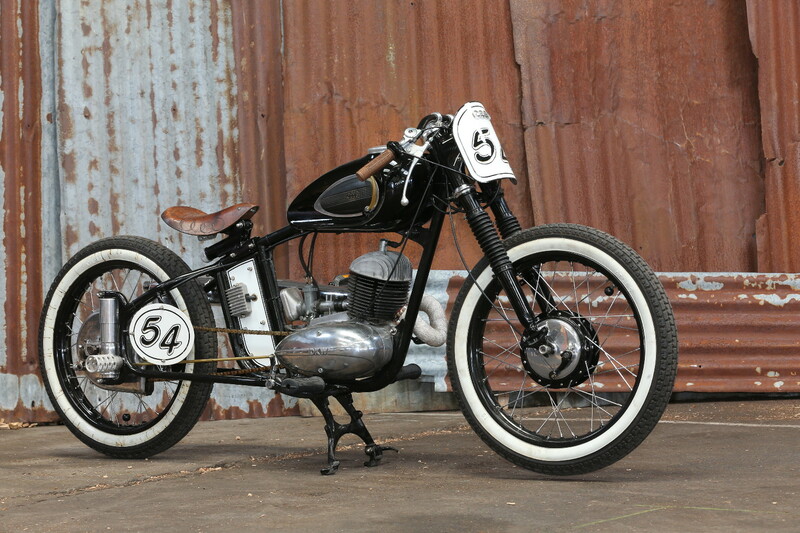 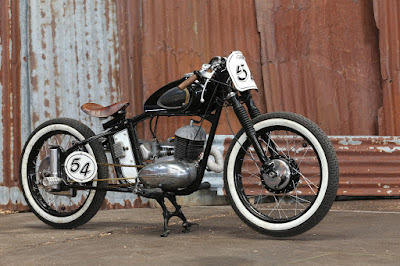 And there are many cool Bobber and Old-School customs with inspiring handcrafted details, bikes that often are only presented here. 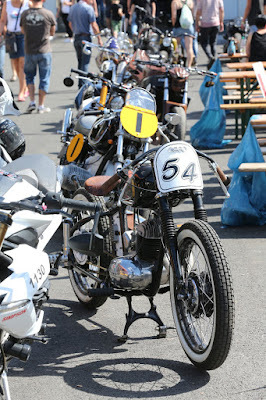 With a price purse of € 5.000,-- the winners of each class ride home with additional fuel money in the pocket – after a 2 hour stage presentation (bikes and cars) that introduce the top 3 of each category on the outdoor stage as part of the sunday noon program before the sunday afternoon show closes the Bike & Music Weekend. This years awards were further enriched with vouchers for Tallin Silja Line (which went to the "Best Touring" and "Best of Show" winners), numerous vouchers from US-travel specialist "Bike the Best" plus three "Wildcards" to enter the bikes into next years upcoming "World Championship" of Customizing in Cologne/Germany. The "Bike and Music Weekend" Bikeshow is certainly an event that deserves more international attention, especially since it is attached to such a cool event! 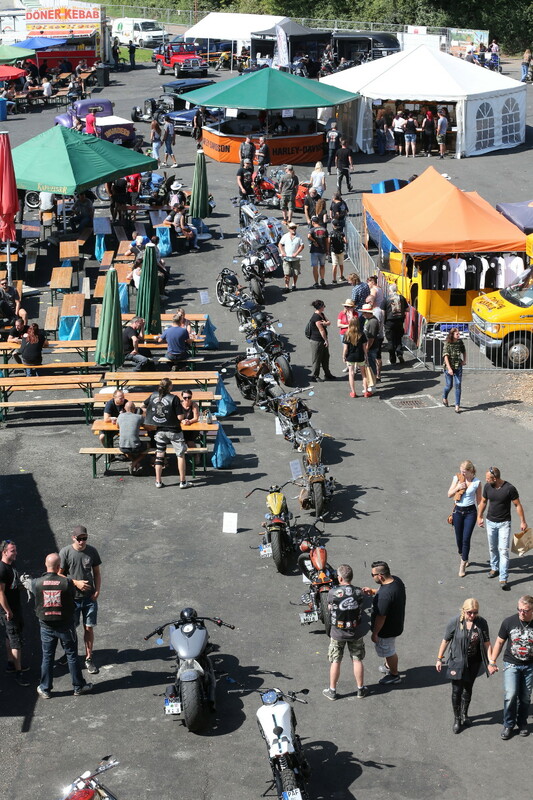 Check out your calendar for next year!